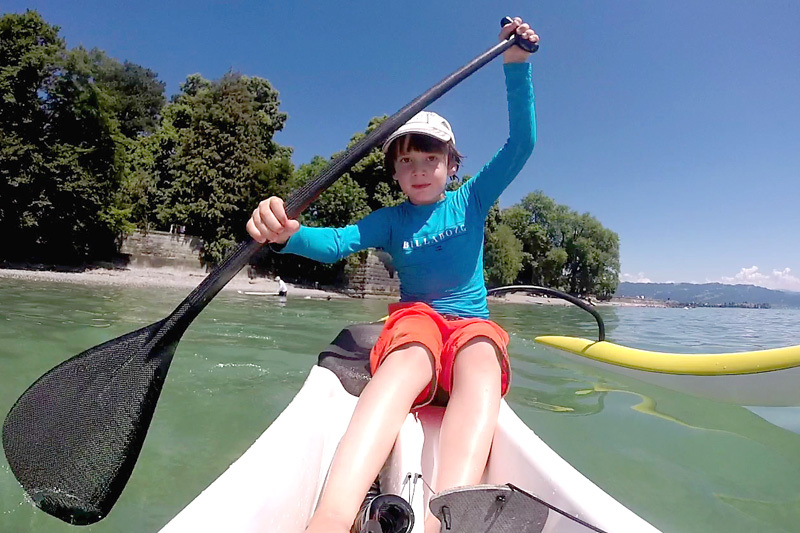 Lake Constance offer you a number of water sport possibilities such as sailing, wind surfing, stand-up paddling (SUP), diving, rowing, canoeing, water skiing, wake boarding. The Pfänder region, the Bregenz forest, Allgäu and Appenzell offer a plethora of bike tours from beginners to pros, from tourers to single trail specialists (downhill, trail, cross-country). You can explore Lake Constance conveniently with day tours on the popular Lake Constance bike path with excellent signage. Look down on Lindau and Lake Constance – either on the expanded hiking course in the multiple location Nordic Walking Park with a route of 130 km and 17 Nordic walking circuits. (Nordic walking course directly outside the building). An easy alpine meadow path or a climbing tour? Lindau is in direct proximity to the Pfänder region with a magnificent panoramic view, the picturesque Appenzell with Säntis, Bregenz Forest, the Allgäu mountains, Austria, Liechtenstein and Switzerland.